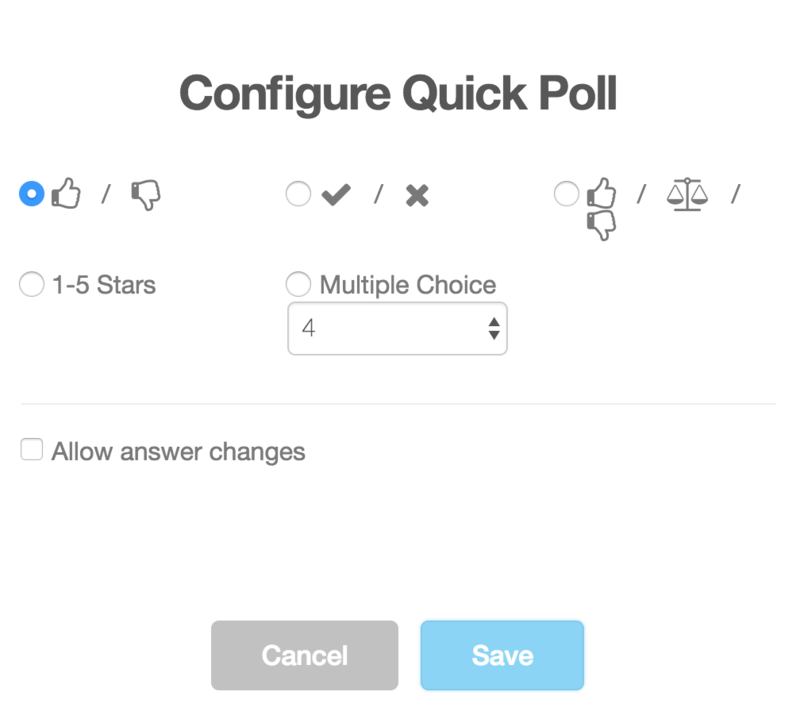 A multiple choice poll allows up to ten choices to be chosen. 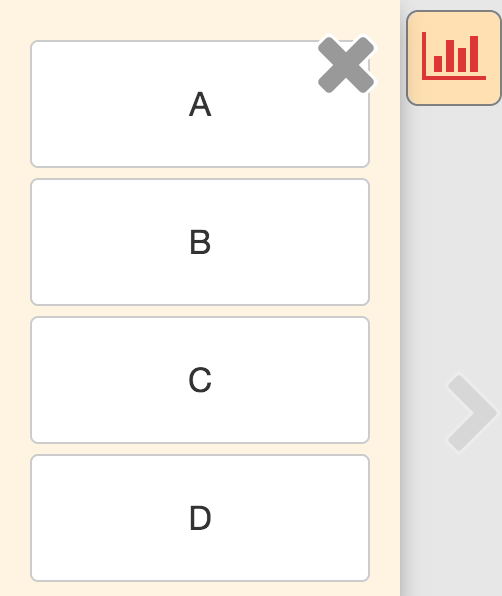 The choices will be translated into letter choices for students. 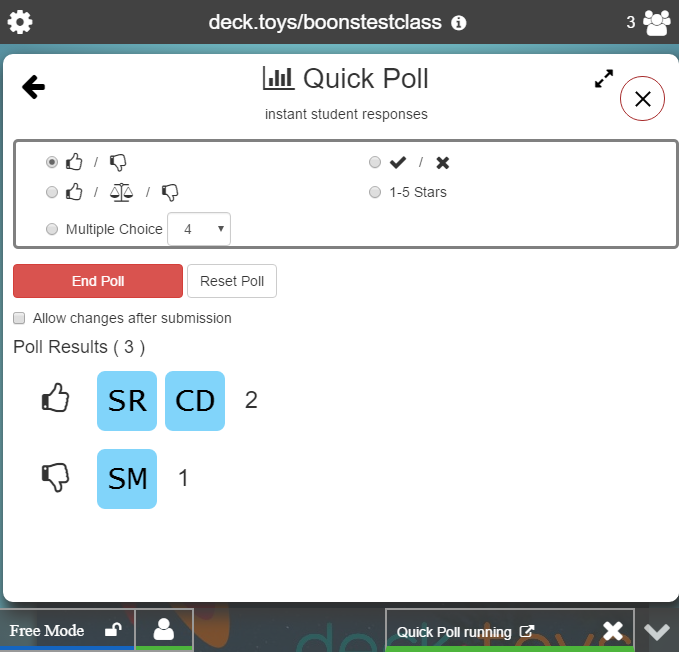 This type of poll works well when you have several options to choose from the multiple choice question from the Slides or your uploaded image.